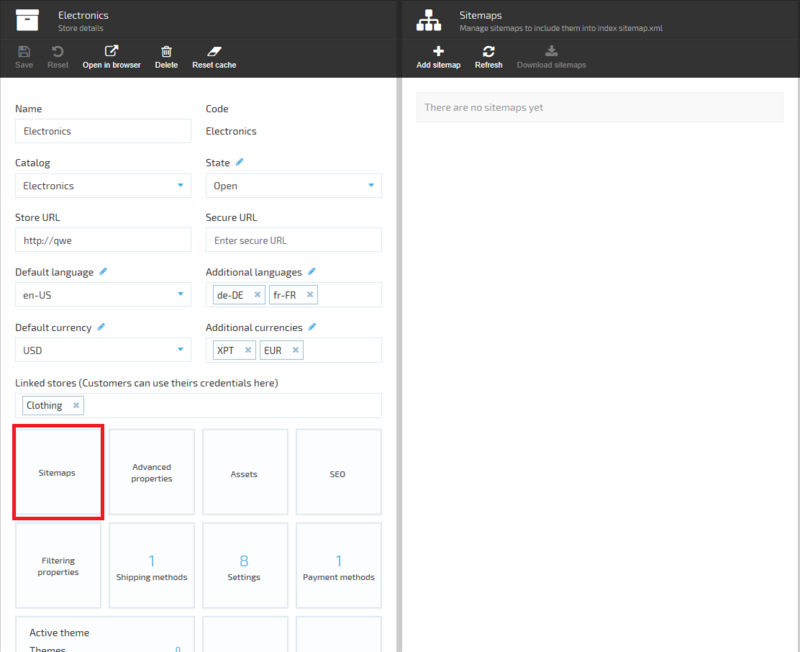 Want to be notified of new releases in VirtoCommerce/vc-module-sitemaps? 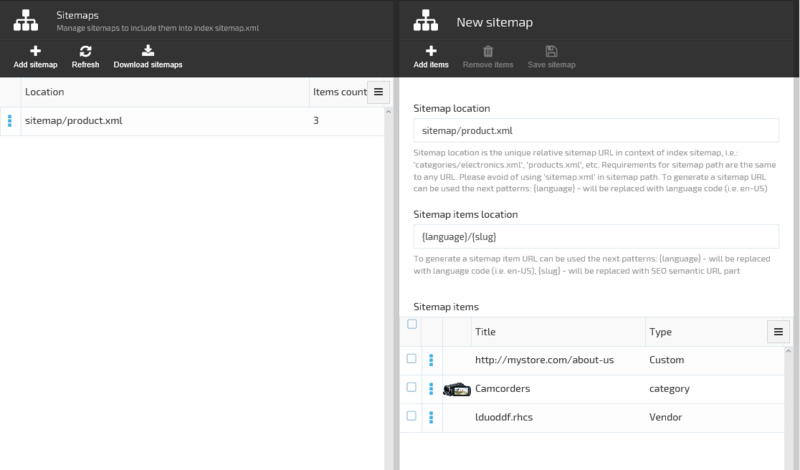 VirtoCommerce.Sitemaps module represents sitemaps management system. Manually: download module zip package from https://github.com/VirtoCommerce/vc-module-sitemaps/releases. In VC Manager go to Configuration -> Modules -> Advanced -> upload module package -> Install. Copyright (c) Virtosoftware Ltd. All rights reserved.